Most students are not aware of the extent of the engineering effort directed toward safety until they work in the industry, either as a co-op or when the accept post-graduation employment. In the chemical process industry (CPI), the mentality that “All Accidents Are Preventable” is the norm. In the CPI, following safe work practices and procedures is not an option, it is a condition of employment. The same holds true for performing research in the NMSU CHME laboratories. Chemical process safety is only achieved when a culture is established in which everyone considers working safely as a priority of their job. To better understand what is meant by a “safety culture,” I invite you to read PE Magazine, November 2012 What Causes Safety System Failures. Here it is stated that the primary indicator of the health of a program’s safety culture is determined by how a person behaves when nobody is looking. As a CHME researcher, you are expected to be a leader that sets the performance standard on the NMSU campus. The Department of Chemical & Materials Engineering must maintain a world-class safety culture appropriate to the industry. The following resources are provided to help build this culture. Laboratory researchers MUST complete the following training courses BEFORE working in the CHME laboratories. The first is a course in Canvas (request access), the others are offered by NMSU EH&S. Note that two of the courses are only offered once a month, and the first two are prereqs for the latter. Therefore, planning is essential (which you will find is a common theme to a strong safety program). You can check your training records online at Training Central. Non-NMSU personnel can also request access to training at Training Central by looking for “Not an NMSU employee?” then selecting “Sign up here” and answering the questions that follow. It is also highly recommend that you watch the video “Experimenting with Danger” by the U.S. Chemical Safety Board, which analyzes a number of fatal incidents in chemical laboratories on college campuses. An Experimental Safety Plan must be developed and approved before procurement of chemicals and supplies and before any lab work begins. The plan must be submitted on the most recent revision of the CHME Experimental Safety Plan (ESP) template. ESPs should be reviewed and approved by the CHME Department Head and Chemical Hygiene Officer (as well as any College of Engineering and/or Environmental Health and Safety personnel as deemed necessary). Training on the ESP contents is included in the CHME Laboratory Safety Training (Canvas). Any exemptions must be clearly articulated in the ESP. Jett Hall Chemical Fume Hood Operation COE-SOP-0001. CHME Emergency Action Plan (2013). NMSU Guide for Lab Safety. The NMSU Chemical & Materials Engineering Sentinel for Safety program is designed to solicit input from all constituency of the program in considering the safety of those who work in the department. Sentinal for Safety forms may be submitted to the Department Head at any time, concerning any safety issue or concern. ALL graduate students, laboratory researchers, and faculty of the department will attend regular safety meetings to be held during a convenient time at the discretion of the Department Head. These meetings will be designed to increase awareness of safety, discuss issues of concern, and provide a forum for safety education and awareness. These sessions will be upbeat, educational, fulfilling, and will not feel like a waste of your time. Attendance is required for all persons who have access to JH 289. Those who do not sign-in will be required to perform 90 minutes of Safety Service to CHME. If you miss a meeting, you should report to Juanita Miller within a week to receive an assignment. Ms. Miller will establish deadlines for task completion. Activities may include an auditing of a particular area of the lab, performing field chemical inventory verification and updating, or performing other such activities as driven by departmental needs. Attendance sheets and completed safety service work will be maintained on the calendar post for each safety meetings. 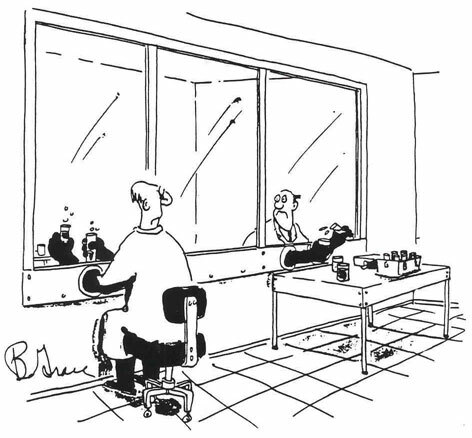 Any researcher not fulfilling these safety requirements will have their lab access privileges revoked until a time when the researcher has fulfilled outstanding obligations.